If you are looking for some music-recognition app online that can find out the song you are listening then the song detector apps or I should say music-identification apps given here can help you. And definitely solve your common question:What song am I listening to? Listening to the favorite playlist on a long drive is an addiction. Well, I am pretty addicted to my favorite playlist, when I need some refreshment. But apart from that small favorite playlist, the ocean of music is spread across different continents. Hundreds of music are also produced on a regular basis, and it is impossible to catch them up, while you are busy at your office or workplace. Now that being said, you might even come across some music on a regular basis on different occasions, in the roadsides, and you might even fall in love with them. Now if you want to listen to the song after coming back home, knowing the name of the song or album is pretty important. But how to know that! Well, I will give you a solution here. There are a number of great music discovery apps available, which can help you know the song, which is being played around you. Depending upon the app you are using, some might even offer additional functionalities like offering you songs of the same genre, the option to play the music on numerous popular music streaming services and many more. Here I have listed the top 5 music recognition services and apps, which shouldn’t disappoint you. Almost all the apps are available on Android and iOS so that you can recognize a song flawlessly when you are traveling. When it comes to music identifier app, it will be an injustice, not keeping Shazam at the top. The Shazam app is fairly easy to use. Just download it, tap on the blue button, and let Shazam do the rest. You can read my dedicated article about how to use Shazam: How to do music recognization using Shazam free app. Not only that, in the ‘My Shazam’ section, you can even recap the tracks, which you have discovered through it. Shazam can also give you news about the latest tracks, most people are discovering, which can eventually open a lot of great music recommendations, which is cool whatsoever. Shazam for PC used to be accessible by visiting the website, but the service is no longer available today. 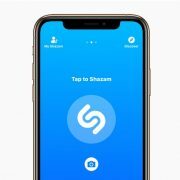 Shazam can even listen to songs played around you when the app is not open, and it is the reason, why Shazam is unique. If you are not liking Shazam or is looking for one of its alternatives, just go for SoundHound. SoundHound can be used as a YouTube song finder, or to discover the songs, which are played around you. The specialty of SoundHound is its live lyrics, which show the music lyrics simultaneously when the music is being played around you. You can even share the discovered tracks with your friends through Snapchat, which is something cool, most snappers will appreciate. 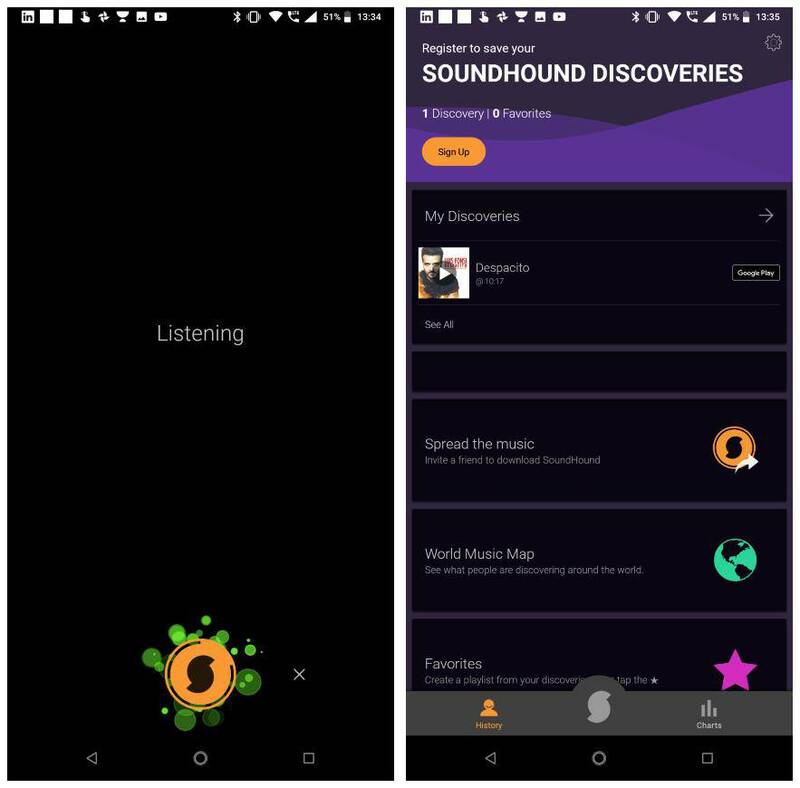 To wrap things up about SoundHound, you can even call SoundHound with the command ‘OK Sound’ to make SoundHound listen to music being played around. That’s cool, when you can’t pull out the mobile from your pocket but need to recognize the song played around you. Another great music recognition app for Android is Musixmatch Lyrics, which is through an app for finding lyrics but can also give you details about the tracks being played nearby. Similar to SoundHound, Musixmatch Lyrics can also show you live lyrics of the song, which is discovered by it. Musixmatch Lyrics being a lyrics app from the core, you will have to open the ‘Nearby’ tab to make Musixmatch Lyrics listen to the tracks, which are being played nearby. 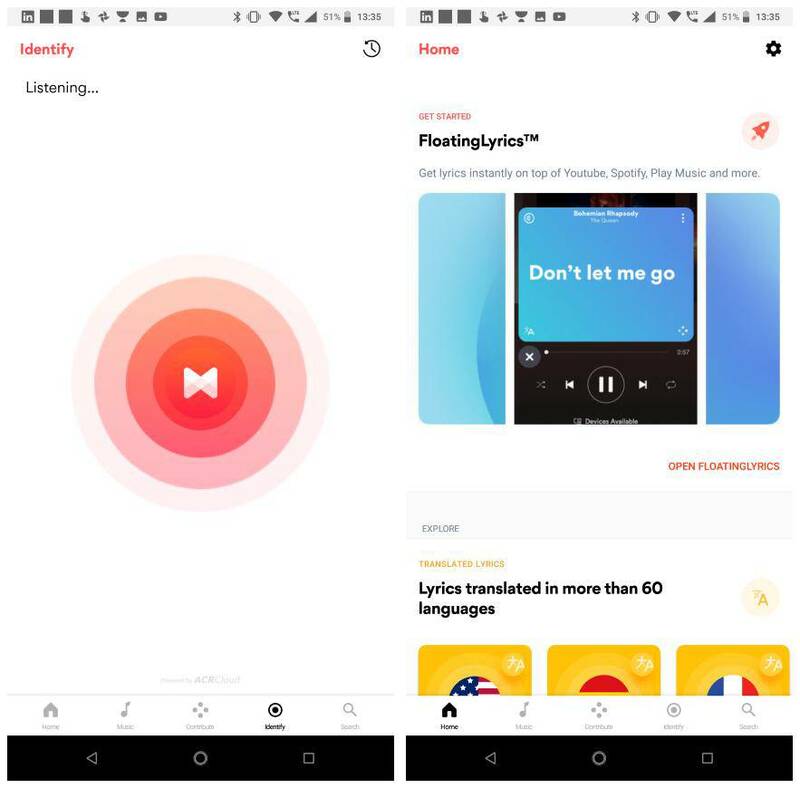 Musixmatch Lyrics can also show you the lyrics of the tracks, which are saved to your local storage, but that requires an internet connection though if you are using it for free. MusicID is yet another online song identifier, which is limited only to music recognition. MusicID doesn’t offer a separate place for offering music from different parts of the world but can save your music searches for viewing them later. The only thing I miss in MusicID is the inability to play the preview of the song on the platform or on other popular platforms like YouTube or so. But if your intention is only to know what song is being played, MusicID does its job pretty well, and you will not be disappointed by its performance. When there are numerous music recognition platforms available, Google is also not lagging behind. 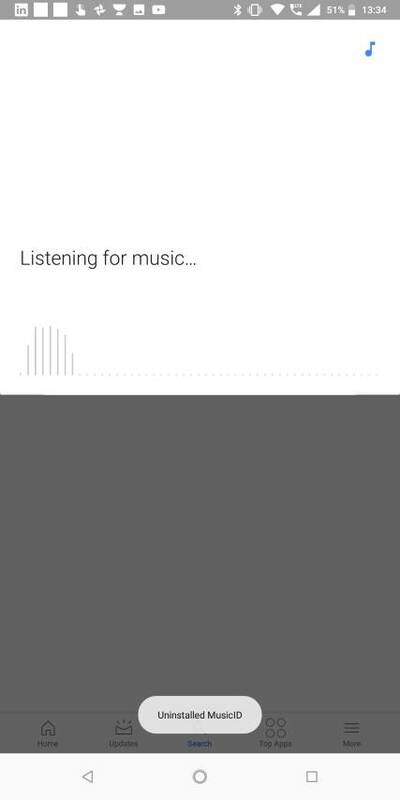 With Google Now, as well, you can discover the songs being played around, but it isn’t yet that optimized like its competitors. But Google has hands on a lot of data, and it can potentially be the most lucrative solution to discover music, which is played around. Once the song is discovered by Google Now, you can know more details about it just the way you search for things on Google. 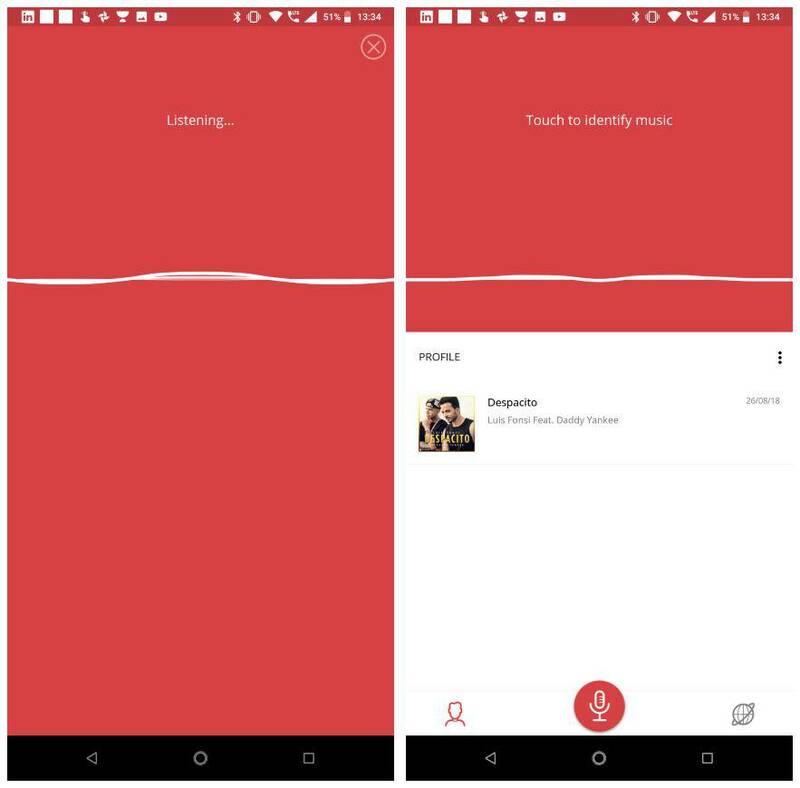 To know more you can see our post: how to use Google Now for music recognition. All the music recognition apps here function quite smooth, and thus, taking the decision of which one is the best music recognition app, is pretty difficult. 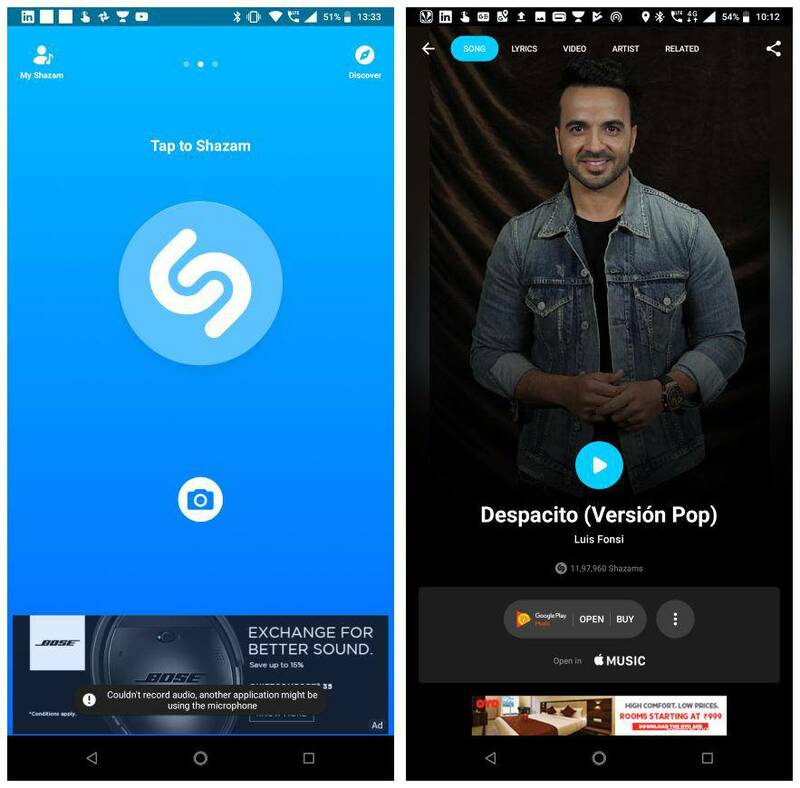 Though when it comes to music recognition, SoundHound and Shazam comes to the mind first for the performance and the easy to use interface it offer. TrackID by Sony used to be a great music recognition app, which I used back in 2011 and 2012 and was also available for Android till some time ago. But TrackID by Sony closed their business, and thus, I kept it out of the list. Midomi is also another music recognition app, which is available for iOS and can also be available for Android shortly. Most apps can also help you in music recognition online while you are humming your favorite song. But that didn’t work in cent percent cases for me. Depending upon which song is being played around, some apps might even fail to recognize some regional tracks, which though, shouldn’t be a deal breaker if you are looking for a music recognition app from one of those mentioned above. Hope the information on top 5 sound search or music recognition apps was helpful for you. Did I miss out any app, which deserves its place on the list? Feel free to comment it down below.